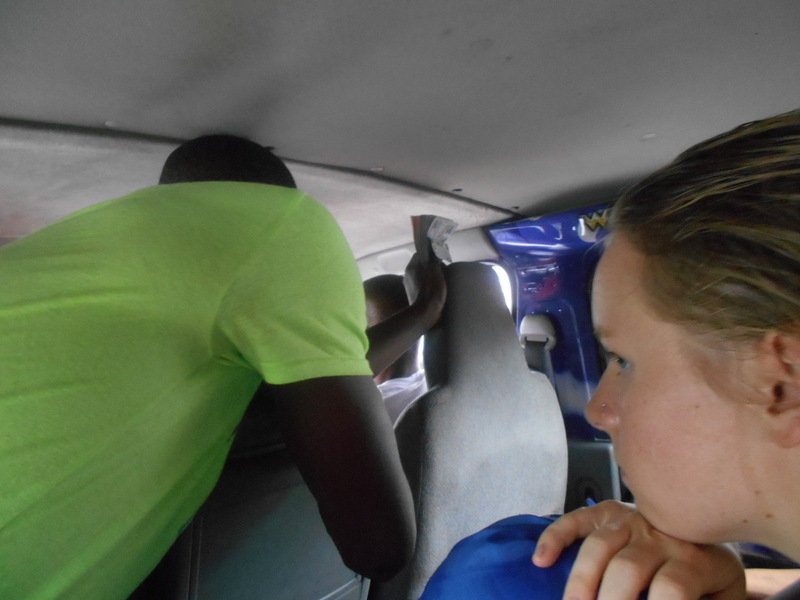 Here’s a few photos about what it looks like to ride in one of Guyana’s mini-buses. 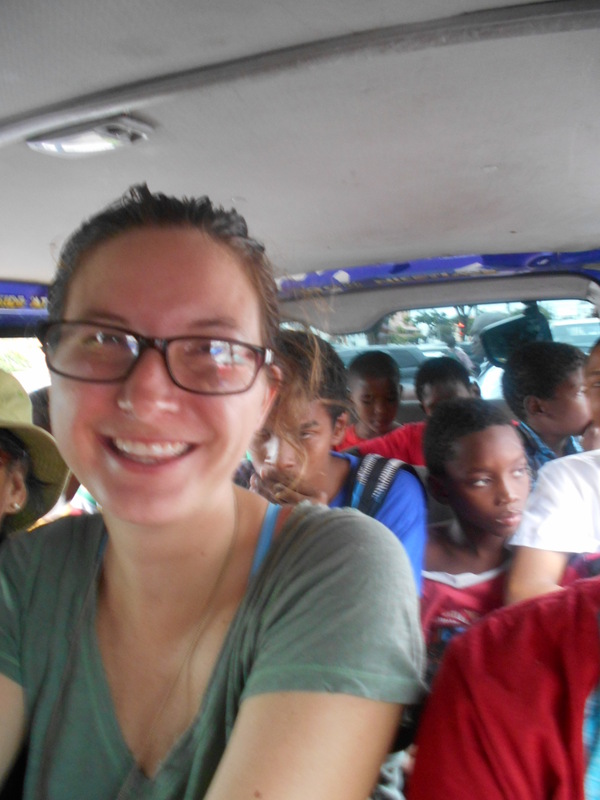 These photos were taken last Saturday morning after my three roommates and I were transporting ten boys from the swimming pool in downtown Georgetown to the orphanage thirty minutes away. The bus drivers literally fought over our large group, but we were all eventually squeezed into this one bus. 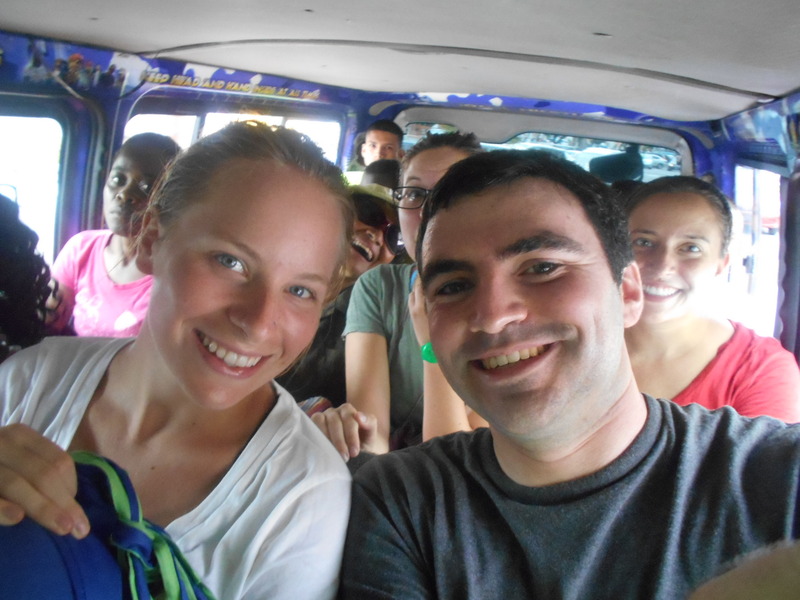 I took photos to note how comical the cramming of all of us into the bus was. Please take note of the conductor straddling my lap in this first photo. It was too good not to take a picture of! Awkward, but funny. That black bag is sitting on my legs. His legs are stretched over mine. It was, um…intimate. Had to document the mess. The boys don’t mind being crammed. This entry was posted in Guyana, South America and tagged bus, crammed, funny, Guyana, Guyana South America, mini bus, oh well, public transit, public transportation, South America, transport. Bookmark the permalink. I remember how they would jam everyone they could in, when we were on Dominica. One time the driver stopped and picked up a guy with a machette and a large burlap bag of weed. I was amazed as it’s not legal there. Oh well. Don’t think you’ll have that problem.